Hi this is out first post on the blog we have 4 people in our family. My name is Danielle and i am the youngest of the family i am 12 years old and in 7th grade and do cheerleading and have been doing cheer since i was 4. My brother is Kyle he is 17 and will be 18 soon he is in 11th grade he does alot of snowboarding and he loves it. 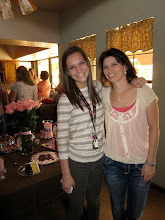 My moms name is Annamarie and she does alot of scrapbooking and does the cutest stuff! She works alot but i still get to spend lots of time with her so its ok. I love your family! I am glad you began a blog. Now I can see what you are doing! You will have to take lots of pictures!